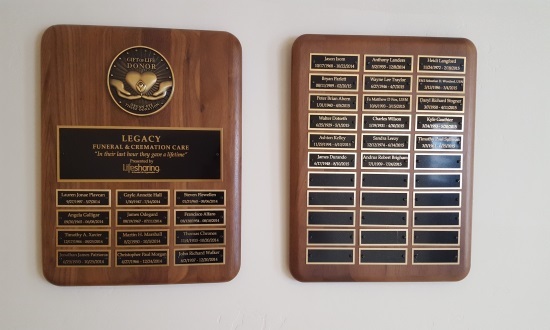 Lifesharing would like to thank Funeral Homes for displaying the special Donor Remembrance Plaque we provide to honor the gift of life and healing organ and tissue donors give. 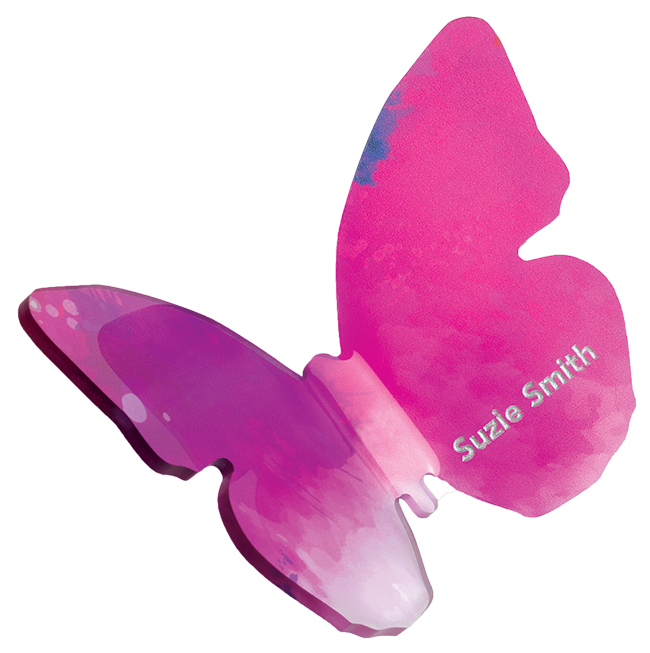 Lifesharing offers Donor families the option to have their loved-one’s name engraved and displayed on the Donor Remembrance plaque at their funeral home. * Lifesharing strives to have the donor’s engraved name plate delivered to the funeral home in time for the donor’s service. 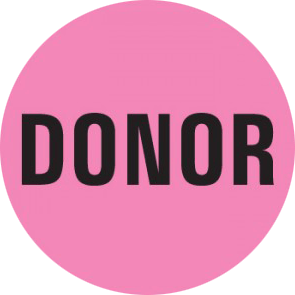 *Donor names will be honorably displayed on the Lifesharing Donor Remembrance Plaque if the donor’s funeral home does not participate in this program.